Sony's last four RX100 models are firm favourites among enthusiasts, but how are they different from each other? The original Sony Cyber-Shot RX100 was a landmark release, with excellent image quality and high-speed performance, all packed into a metal body around the size of a pack of playing cards. We’re now on the sixth iteration of the RX100, and all six models are still available as new today. 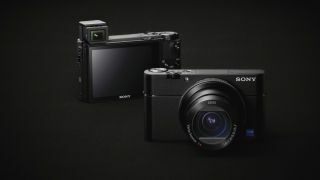 Although the heart of the RX100 range has remained the same, Sony has added various features and made changes to the handling of each successive release. In this article, we compare what the last three models in the line offer. These aren’t the cheapest cameras, so by looking at where the models are the same and where they differ, you'll have better idea of which makes the most sense against your budget. Although all the models in the RX100 line so far have offered 20.1MP 1in-type sensors, they have not been the same sensors. While the RX100 III maintains the back-illuminated sensor of the Mark II, the RX100 IV features a sensor with a stacked architecture. This was done to improve light-gathering efficiency, helping to deliver images with lower noise. That sensor also includes a separate DRAM chip, something that was maintained for the RX100 V and RX100 VI. Even so, Sony did not simply use the same sensor one for the last two models; instead, it incorporated phase-detect AF pixels into the sensors inside the RX100 V and RX100 VI – more on this later. Despite these differences, however, all four sensors offer a native sensitivity range of ISO 125-12,800, and extensions on either side of this. All four models also make use of a BIONZ X processor, although Sony has made a habit of improving processing for each model. These improvements are typically centred around better noise reduction and faster autofocus although those wanting to use these cameras for action will also no doubt be interested in burst shooting differences, which we’ll come on to later. Since the RX100 III, things were relatively consistent with regards to optics. The 24-70mm f/1.8-2.8 ZEISS Vario-Sonnar T* lens remained the same, offering a good balance of zoom range, portability and maximum aperture. That all changed with the RX100 Mark VI, with its far longer 24-200mm (equiv.) f/2.8-4.5 ZEISS Vario-Sonnar T* optic, although Sony had somehow managed to incorporate the lens into a body that was almost the same size as before. True, the maximum aperture isn’t quite as impressive as before, but still respectable for this focal range and still an achievement. What’s more, it suddenly made the range a viable choice for travels and holidays, where one may have otherwise opted for a Panasonic TZ model or an interchangeable-lens camera. All four models have also been designed with a Control Ring around their respective optics, and these can be used for a range of purpose – not least zooming. Each also has a built-in ND filters to help out when capturing long exposures and for video shooting. Sony has been at the cutting edge of developing video technology in cameras primarily designed for photography, so it's no surprise that many differences can be found between these three models here. The RX100 IV, RX100 V and RX100 VI can shoot 4K video at 30fps, while the RX100 III is restricted to Full HD (1080p) shooting at frame rates up to 60fps. Sony has also added an S-Log2 video profile in both the RX100 IV and RX100 V, which makes these feel all the more video-centric, and pushed this further on the RX100 VI with an S-Log3 option and and Hybrid Log Gamma profile for HDR displays. Although the RX100 IV, RX100 V and RX100 VI are all capable of 4K video recording, the way this is captured is not the same. The RX100 V and VI oversample footage at a 5K resolution, before this is downsampled to 4K, a process that should make for slightly crisper results. All three, however, have an anti-distortion shutter for reducing rolling shutter effects, something that wasn't included on the RX100 III. One of the headline features of the RX100 IV, RX100 V and RX100 VI is what Sony calls High Frame Rate (HFR) videos. Users can shoot at up to a staggering 960fps for slow-motion output, although this comes at a reduced resolution. Essentially, the faster you go in frame rate the lower the output resolution. One point of difference here is that the RX100 V is able to record sequences twice as long as the RX100 IV, when each camera is set to its High Frame Rate (HFR) setting. You can also shoot slow-motion footage with the RX100 III, but only to a frame rate of 120fps, which is output at 720p. There's also a 1.69x crop factor to take into consideration here. Unsurprisingly for such small cameras, you won't find ports for headphones or microphones on any of these models. Even so, there is clear progression in the series with video, and the RX100 V is the most comprehensive yet. The RX100 V was the first camera in the range to feature on-sensor phase-detect AF, and this continued on to the RX100 Mark VI. This is a 315-point array with wide coverage across 65% of the frame, and this works with the same 25-point contrast-detect AF system that features in the previous two models. On-sensor phase-detect AF usually improves a camera’s AF performance, especially for continuous focus and also when capturing videos, and it's something many other compacts and mirrorless models are now incorporating. Sony claims the RX100 VI also offers better subject tracking when using the Eye AF feature than before, and also claims that it has better autofocus speeds than before, with the RX100 V's minimum 0.05sec speed down to just 0.03sec here on the new model. Otherwise, the three cameras use the same 25-point contrast-detect AF systems, with five focus-area modes: Wide, Center, Flexible Spot, Expand Flexible Spot and Lock-on AF. All four cameras are capable of capturing fast-moving action, although the difference in burst rates is significant. The RX100 VI offers a staggering 24fps burst shooting at full resolution, with full-time phase-detect AF and AE, for up to 223 JPEGs. The RX10 V manages much the same, but only to 150 frames. So, once again, the RX100 VI steams ahead, but the RX100 V is still very strong here.